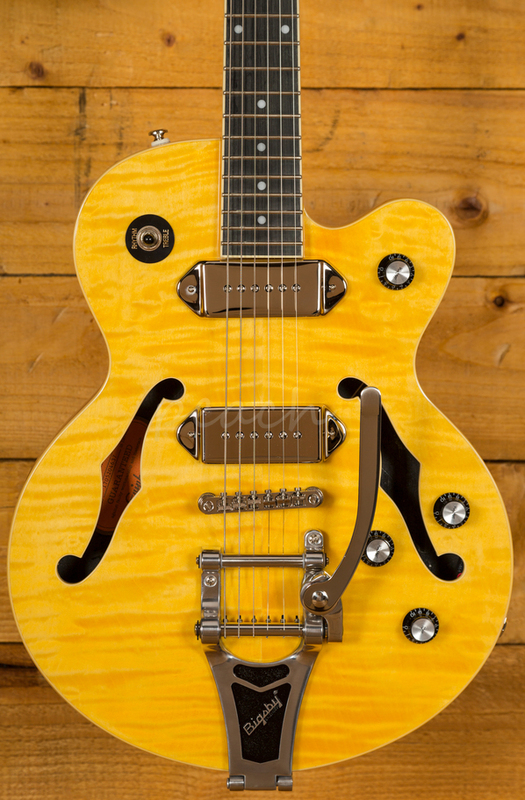 The Epiphone Wildkat is truly an Epiphone original! 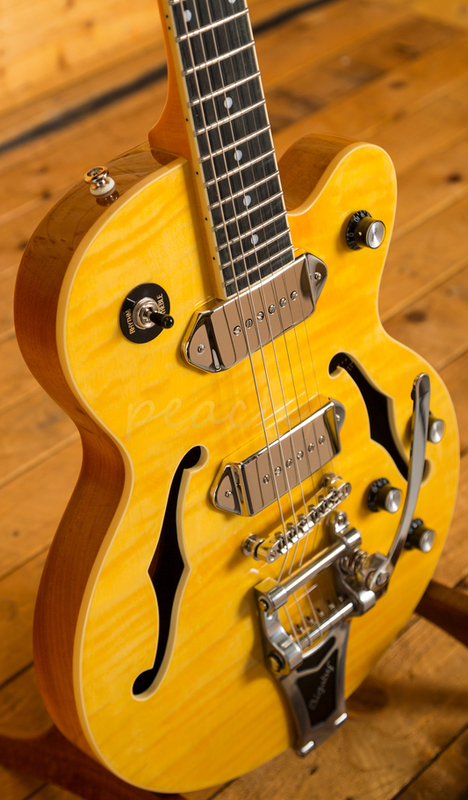 The Wildkat is a wild guitar with a lot to catch the fancy of all kinds of players: chrome BigsbyTM B70 Vibrato tailpiece for vintage detail, flamed maple top for gorgeous looks, and a pair of dogear Alnico V P-90s for hot-rodded tone. 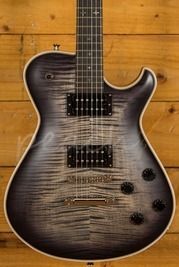 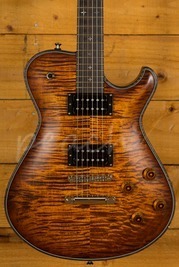 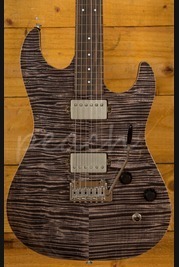 Maple neck, rosewood fretboard, mahogany sides and back, and body and neck binding complete the package. 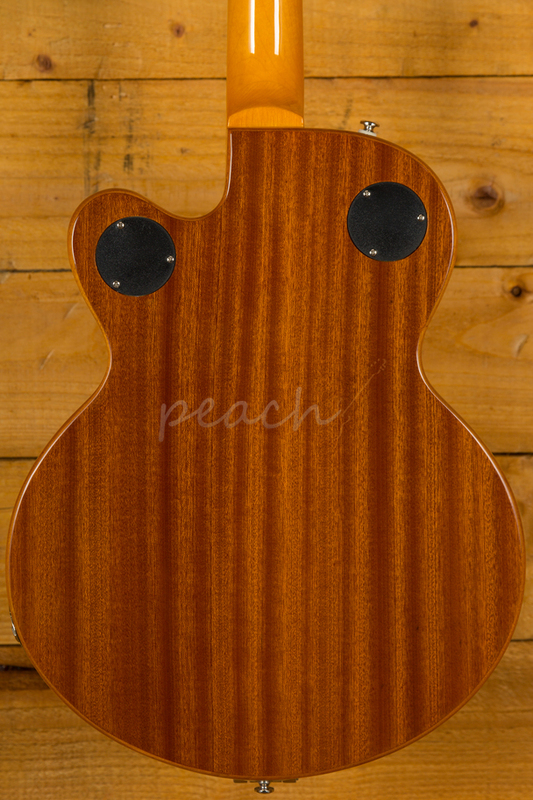 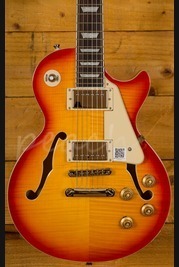 This smaller-body, semi-hollow guitar has great vintage sound and is remarkably comfortable to play! 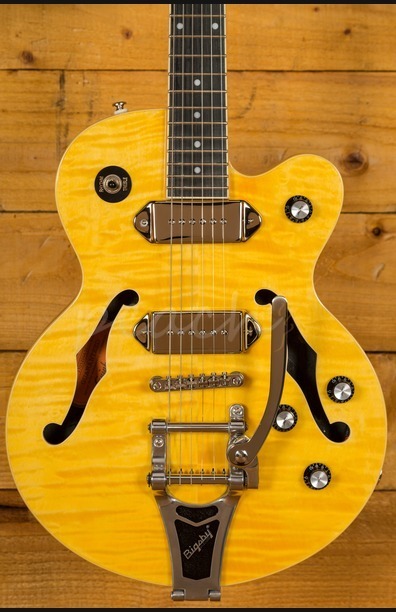 Epiphone is a leader in archtop design and has been since the 1930's . 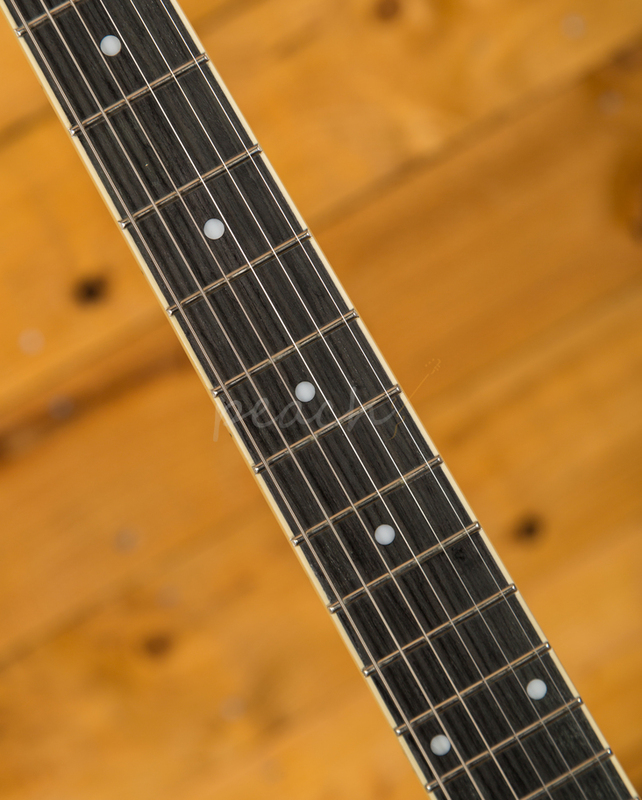 An early pioneer in archtops even before they were electrified, Epiphone was never afraid to do something out of the ordinary. 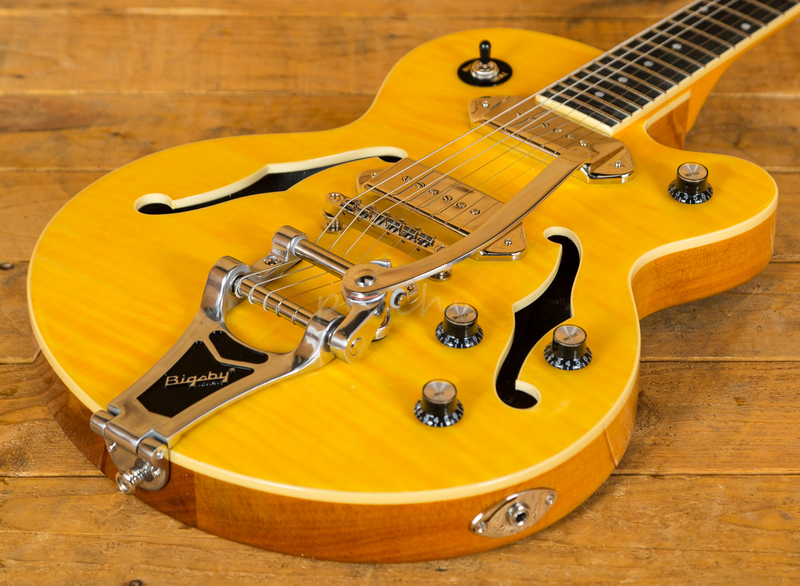 With no notable changes in archtop design by anybody in decades, Epiphone took the archtop and practically married it to a solid body guitar. 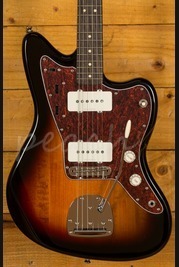 The Wildkat now takes its place among our all-time great designs.